Fender is having a big NAMM this year, unveiling a lot of brand-new products and product updates alike. And with the NAMM show kicking off today officially, we've gotten a look at a few more things the big brand has in store for its artist signature products in 2019. 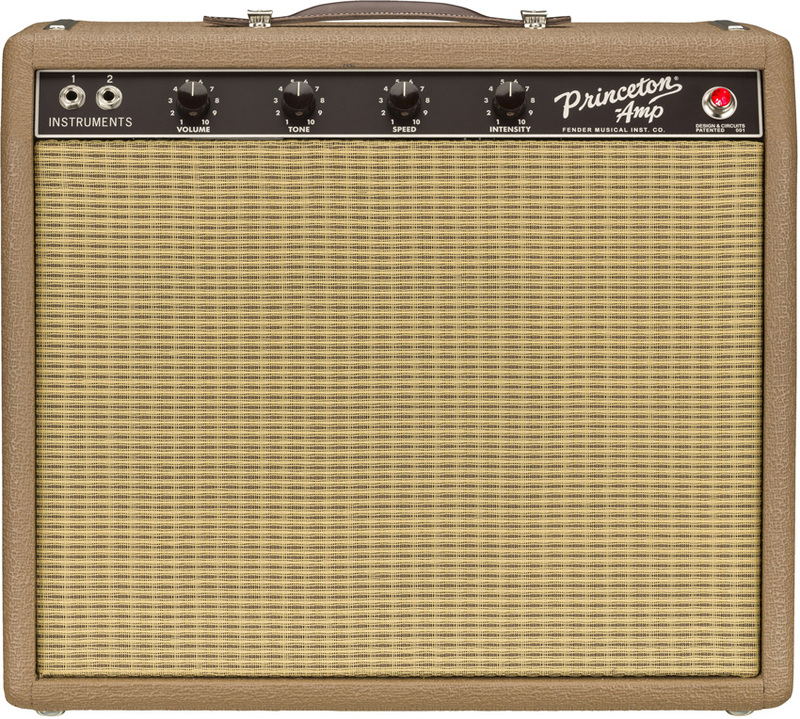 First up is the brand-new Chris Stapleton signature amplifier, the '62 Princeton Chris Stapleton Edition. This hand-wired, 12-watt combo combines the classic 6G2 circuit with Stapleton's favorite features—like an output tube-biased tremolo circuit, vintage Blue tone caps, Schumacher transformers, and an upgraded Eminence 12-inch "CS" speaker. The amp's acoustically resonant solid pine cabinet is wrapped in rough brown textured vinyl, complete with a dark brown control panel sporting matching dark brown "radio" knobs. It features a wheat grille cloth and a dark brown leather handle, and the back panel also features a special brass plate engraved with Chris Stapleton's signature. These amps are set to start shipping next month. Fender also presented the newly updated bass signature it made in collaboration with Guns N' Roses bassist Duff McKagan. The Duff McKagan Deluxe Precision Bass will officially launch in March and is based on the '80s Jazz Bass Special that McKagan used to record Appetite for Destruction. The bass is outfitted with two pickups: a Fender vintage-style Precision Bass split-coil and a Seymour Duncan STKJ2B Jazz Bass single-coil in the bridge. It also packs some player-friendly features, like the Hipshop Bass Xtender that allows players to instantly switch into drop tuning with the flip of a lever. It also features a Pure Vintage '70s bridge and a special Duff skull n' crossbones neck plate. Let us know what you think of the new gear in the comments, and follow along with our ongoing NAMM coverage by clicking the orange banner below.